Most Valuable Gift in this Year !! Hatrick, 3rd time in a row !!. 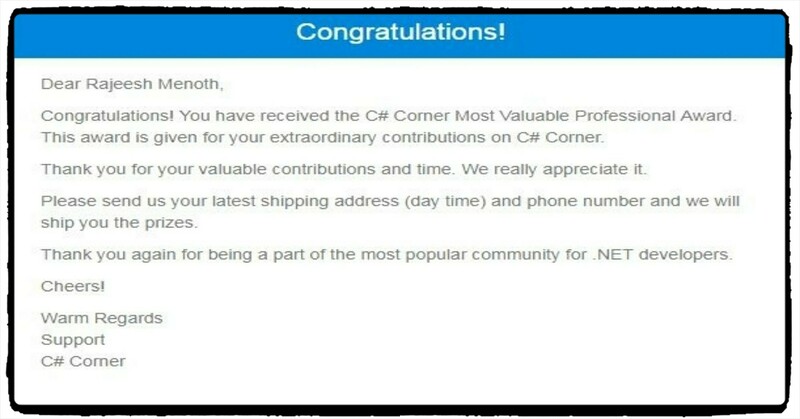 Thank you C# Corner for giving me such a wonderful gift, MVP Award 2017!! Truly this year began with a bang ! !